Sometime last year, Pandora's box was opened. Let me tell you a little bit about Pandora's box. The phrase comes from Greek mythology. 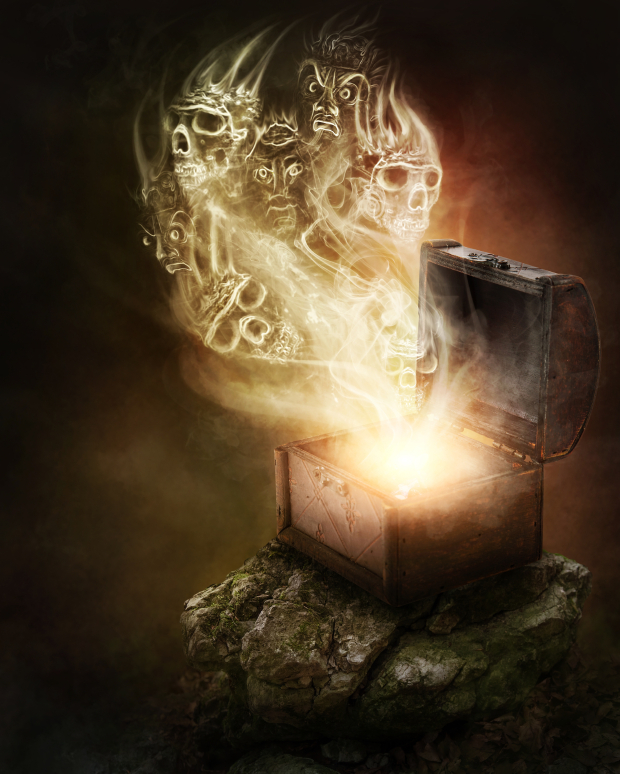 The "box" was actually a large jar given to Pandora which contained all the evils in the world. One day Pandora had a brain fart and opened the jar letting out all the evils, only leaving "Hope" inside once she had closed it again. When Donald Trump declared he would build a wall between the U.S. and Mexico last year, he opened up a box full of evil ideas and crushed any notions of civility for the presidential race. White Supremacists, and the KKK, are having a field day supporting Trump's racial attacks against Latinos, Blacks, and Muslims. Lies,like flies, are always plentiful in any political race, but this election cycle has produced a plethora of them. More lies than truths. Truth has became a casualty in the name of partisanship. The Republican party has unleashed the Prince of Lies and is now regretting it. Barely half of the party can bring themselves to support him. But the party brand is deemed more important than anything else and the game goes on. Don't tell me that the Republican party was ready for the consquences of supporting a blatant narcissist, con man, racist, and egomaniac. By allowing Trump to run on the Republican ticket the party opened Pandora's box, and forgot to leave any hope behind.